Quirkbot is a little character you can program. It’s easy to make different shapes and forms: Funny Robots, Toys, Artworks and Much more! Use the included Strawbees construction set with LEDs, Motors and Sensors to realize your own creations and ideas. 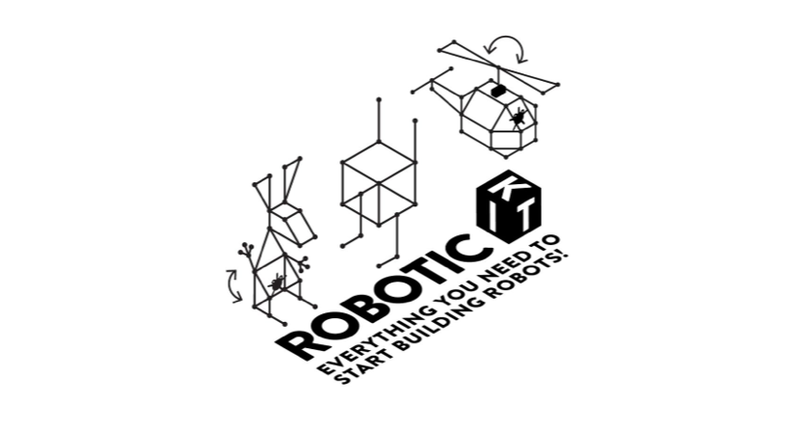 Quirkbot Robotic Creatures Kit has everything you need to get started with the Ultimate maker toy. Perfect for beginners and schools thanks to the super easy programming, electronics with no soldering and Strawbees mechanics, that will get you started in minutes. Made for Educators, Maker parents and kids of all ages (recommended for 8 years and up) Check out quirkbot.com for latest info. The Electronics of the Quirkbot has been designed so that it is intuitive to remember the names of the different parts. This makes it easy to talk about, and refer to when programming the different functions. LEDs and Light Sensors fit on the horn, legs and arms and are held in place with a straw over it. When putting on an LED, be sure that the long pin of the LED is on the FRONT of the Quirkbot so it can reach and connect with that metallic surface. The backpack connects on the back of the Quirkbot and the motor connects to one of the slots on the backpack. The uppermost pin on the backpack will fit into an open slot on the right side of the battery cover, make sure it's placed right! Also make sure to align the black marking on the backpack slot to the black (or the darker) cable of your servo. To fasten the Servo Mount in your construction, here are two examples of how to wrap and connect Strawbees and creating a Servo Mount. You can add more Strawbees connected to each other to increase the friction and pull their legs through the holes to tighten the Servo Mounts. When putting a straw on the Strawbees on the servo motor arm, make sure to slide it over both the Strawbees and the motor arm itself. Quirkbot has its own rechargeable battery. The battery starts chargin when the USB cable is connected to a computer or other power sources like a phone charger. There will always be someone helpful to answer any question you have at the forum: forum.quirkbot.com. Please don’t hesitate to ask! Quirkbot is easy to code directly from the web with a graphical language. To program the Quirkbot you first go to code.quirkbot.com. When you have created an account you can start creating and uploading code to your Quirkbot. First time you try to upload, the interface will install a small plug­in in your browser, and on a Windows computer you will have to install drivers. The interface will guide you trough how to do it. By dragging and dropping into your program, and press the X to get rid of them. The connections makes a continuous stream of data go from one node to the other. All Nodes that control some external part like an LED or Servo Motor needs ti know where that part is placed. When you do this the code will automatically get a web address. If you want to share your code just share this address, Don’t worry, none but you can change it. If someone shares code with you and you want to make your own copy, press Clone CODE. This is now your code and you can make any changes. By dragging the slider or type in the value directly. The Nodes Documentation is starting to take shape and will soon have more useful examples. Dig in deeper there if you want to read up on specific nodes and how they function. Check out the Quirkbot Forum! Don’t be afraid to ask us any question. 1x Quirkbot Board: Programmable toy that connects to electronics and Strawbees. 1x Motor Backpack: For connecting the Servo Motor to the Quirkbot. 1x Servo Motor 120°: This motor can move 120 degrees. 1x Small Strawbees pack: For building structures with drinking straws and cardboard. 1x Straws pack (50 straws): Flexible building material. 1x Electric Strawbee: To light up your structure and have fun with the light sensor. 1x USB Cable: For charging and programming. 1x Servo Extension Cable: To move things further away from the Quirkbot. 1x Plastic Component Box: To keep all the components tidy. 1x Guide Booklet: With clear pictures and text to get you started. 3x Light Sensor: Sensing light for fun interaction. 6x Alligator Clips: For Touch functions and many other things. 10x Dual Color LEDs: Lights with 2 colors that you can attach to the Quirkbot.